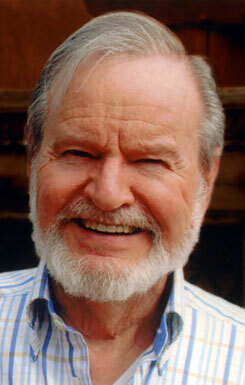 Terpning was born in Illinois, November 5, 1927. His mother was an interior decorator, and his father worked for the railroad. He grew up in the Midwest living in Iowa, Missouri and Texas as well as Illinois. As a boy he liked to draw and knew by the age of seven that he wanted to be an artist. 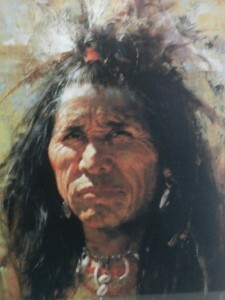 At age 15, he became fascinated with the West and Native Americans when he spent the summer camping and fishing with a cousin near Duango, Colorado. In 1967 in the midst of his commercial art career Terpning left his home in Connecticut and headed to Vietnam as a civilian combat artist. Invited by the Marine Corps to document the war by living with the Marines for one month. Of the experience Terpning stated he was “profoundly changed” by the experience. Upon his return home he created six paintings which are now at the National Museum of the Marine Corps. Terpning’s choice of palette is typically restrained in order to ensure that narrative is the first impression imparted upon a viewer. He is among a very small group of painters of the West in the late 20th century whose art will still be hanging in museums and appreciated a hundred years from now.